The recent debate over the Salafist cleric in Belgium shows that non-violent extremism cannot be ignored, writes Eli Hadzhieva. Eli Hadzhieva is Director of Dialogue for Europe. The saga, which started with the Belgian State Secretary Theo Francken’s decision to withdraw the residence permit of the imam of the Great Mosque of Brussels Abdelhadi Sewif took a new turn when the Belgian court blocked efforts to deport the cleric on Tuesday this week (28 November). Earlier this year, the Belgian parliamentary committee charged with investigating the causes of the Brussels attack of March 2016, had recommended to change the status of the Great Mosque of Brussels, which is currently under Saudi patronage due to the Belgium’s King Baudouin transfer of the property to King Faisal of Saudi Arabia as a goodwill gesture in the 1960s. Few people, who cross the Parc du Cinquantenaire in the heart of the capital’s European district, are aware of the fact that it harbours a mosque and an Islamic Centre, whose imam was accused of having a Salafist discourse, allegedly disfavouring women. Yet, the European Parliament, having recently launched a special committee to tackle deficiencies in the fight against terrorism, takes the issue to heart. A panel discussion on drivers and catalysts of radicalisation in Europe organised at the European Parliament on Tuesday by TRENDS, European Foundation for Democracy and Human Rights Without Frontiers highlighted that non-violent extremist groups are equally dangerous, as they are promoting a very similar ideology, which directly or indirectly justifies violence by creating a narrative based on “us vs. them” and picturing “the others” as the enemy. The conference highlighted that such ideologies are a “long-term poison” that nurtures violent radical groups. This is best exemplified by Wahhabi and Salafist movements. Moreover, a recent Belgian parliamentary report on Islamic radicalism draws attention to the terror risk incurred by the propagation of the Islamist movements, such as the Muslim Brotherhood. One such example is the League of Belgian Muslims, whose adherents interpret all aspects of life (religion, politics, social life) according to Quranic texts, which are not to be questioned. Wahhabism is also well-established and has a huge outreach in Belgium. Its followers are seen as radical, uncompromising and self-excluded akin to “a virus waiting for reactivation” according to the Belgian parliamentary report. By contrast, Salafists are a heterogeneous, ambiguous and dogmatic network association leading to ghettoisation and polarisation. 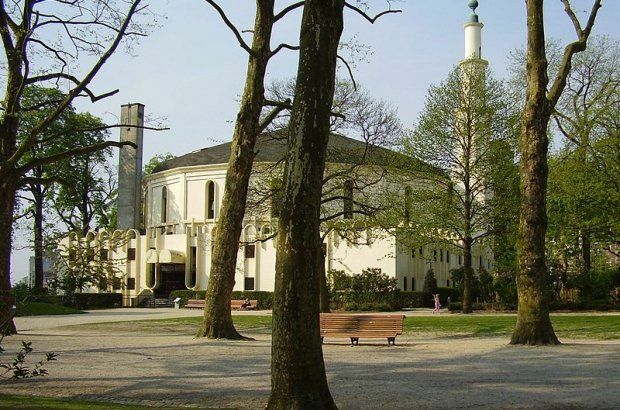 Whereas the Great Mosque of Brussels, with more than a €1.4m budget, is a hotbed for Salafists, the mushrooming Islamic schools and Wahhabi training centres are the main concern in countries such as Kosovo and Bosnia-Herzegovina in the Western Balkans. Like Belgium in the EU, Kosovo ranks first in terms of foreign fighters in Europe but the catalysts in these two cases are not necessarily the same. Migration and Salafi settlements in Kosovo, Bosnia-Herzegovina and other parts of the Western Balkans lay the ground for the recruitment of foreign fighters, facilitating the supply of weapons and the purchase of properties. Given these alarming facts, non-violent Wahhabi and Salafist movements as well as organisations affiliated with political Islam in Belgium and Western Balkans cannot be ignored. At the same time, one should be cautious about emboldening far-right rhetoric using entire Muslim populations as a scapegoat for terrorist attacks. This fine line was pinpointed by TRENDS Research & Advisory in the European Parliament last Tuesday, which emphasised the importance of choosing the right interlocutors when addressing the issue of radicalisation prevention in the EU and its neighbourhood. In this context, organisations having links to political Islam are clearly defending extremist ideologies and should not be the organisations that governments and national institutions choose to partner with when working to prevent radicalisation and extremism. In light of these reflections, one should reconsider the decision of the Belgian court based on the lack of evidence that the imam of the Great Mosque constitutes a threat to the Belgian society. More importantly, other imams, groups and organisations whose preaching and radicalising activities adversely affect young people in Belgium and Europe shall be duly scrutinised. The threat of non-violent extremist groups and far-right groups are two sides of the same coin and their ideologies are the number one enemy of free and democratic societies. Thus, preventing these groups from wider indoctrination and infiltration on European soil is critical for the future security of the continent. There are no Salafi settlements in Kosovo. How can “migration and salafi settlements” be cause of radicalism in Kosovo? Which migration? This is absurd premise which leads to absurd article. Sick and tired of superficial and scandalous fearmongering.